Cloudfone outs a capable entry-level phone with a very competitive price point of Php 3,999. 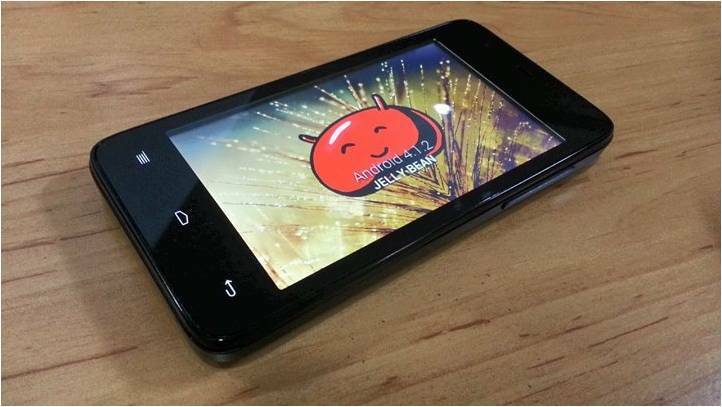 The Cloudfone Excite 402D is a dual-core runner clocked at 1.2GHz Qualcomm processor. Being on that price range and specs, the Excite 402D is pitted against the king of entry-level phones - the Cherry Mobile Flare. It's 4-inch WVGA display touts a 233 ppi pixel density. However, this newcomer carries a newer version of Android (Android 4.1) out of the box unlike Flare wherein you have to update from ICS. Aside from that, all other features are conventional like the 512MB of RAM, 4GB internal memory with expandability option, 5MP rear shooter and 1500 mAh battery rating. Design-wise, the Cloudfone excite 402D is fresh. It's curved outline makes it easier to grip. Personally, I'm excited on how this phone will pair up with different local devices around. It's now available on Cloudfone kiosks nationwide.